All of the stand-alone stories from the past issues of Dark Horse Presents in one volume, and in color for the first time! This package includes stories by Mark Verheiden and Mark A. Nelson (DHP #24), Anina Bennett and Paul Guinan (DHP # 42-43), John Arcudi and Simon Bisley (DHP 5th Anniversary Special), and Arcudi, Guinan and Tony Akins (DHP #56). This volume is colored by Rachelle Menashe and Chris Chalenor. 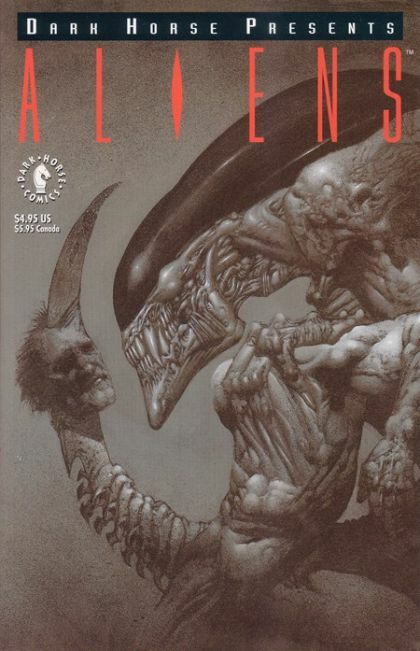 All wrapped up in a stunning new cover painting by Simon Bisley. Cover price $4.95.